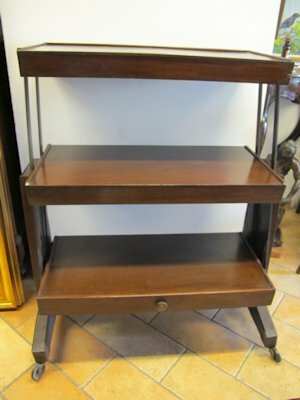 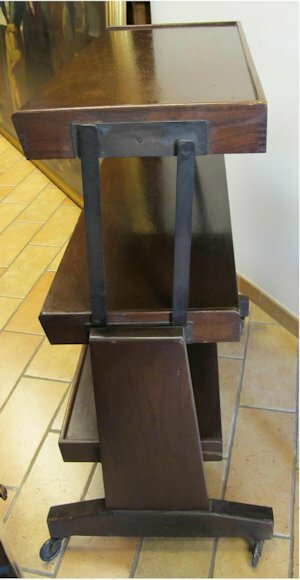 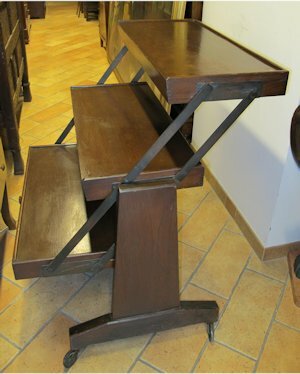 Rare English mahogany table convertible into a shelf with small castors. 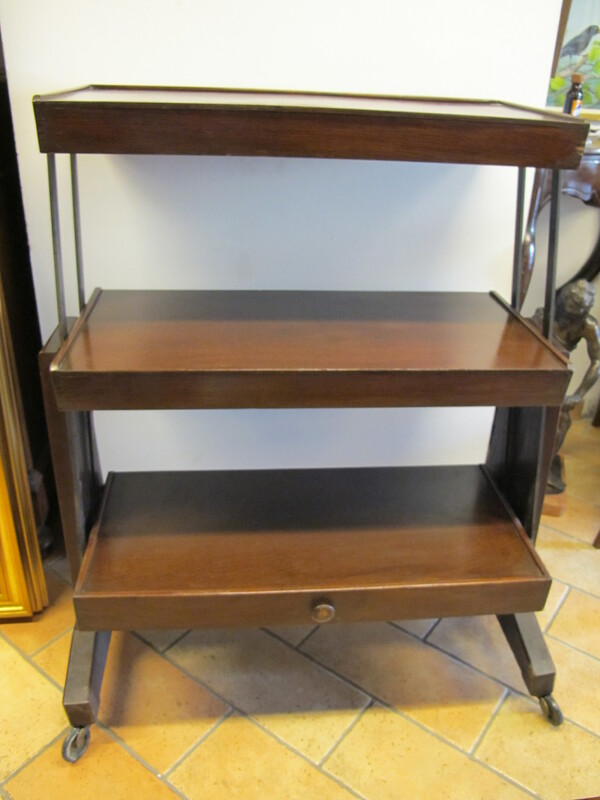 Shelf dimension: Cm 104,5x87x53. 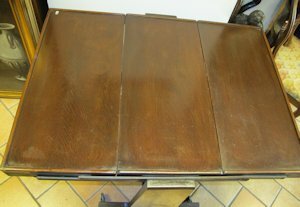 Table dimension: Cm 70x87x107.